has anyone NOT experienced bad side effects from accutane? I constantly look at ppl's skin. I like to compare myself w/other ppl. I know it sounds horrible but sometimes when you look at other ppl's skin you feel better about yourself. I tried it, didn't like it. It gave me a orange tone, and I used the lightest colour. To be honest i've been having the same problem lately. I have tons of make-up, and nothing covers it up completely. You can still see everything!! 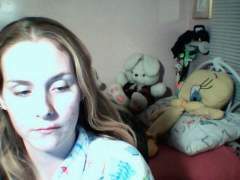 I use maybelline everfresh foundation and I also use a concealer stick by maybelline. Makes my face look a tad better, but you can still see a lot of the pimples/red marks. My skin is really bad right now. I feel the same way, I can totally relate. But my fiance has seen me many times w/o make-up on. He still thinks I look beauitful, he said theres not much of a difference. Like polkadots said no make-up covers everything up, so i'm sure your boyfriend knows you have some skin trouble. yeah I'm also really pale. All the marks seem to look worse on our skin. I'm ivory for make-up, as light as they come! you must have great skin then if your dad's a derm eh? When I wake up in the morning my skin looks pretty good, it looks well rested. 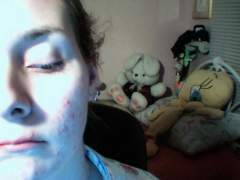 At night time, my skin looks blotchy, red and all the imperfections look worse. I'm not sure if its because i'm tired or not. It's strange that my skin looks different, at different hours of the day. Anyone else notice this? Need to stop wearing so much make-up! After two months of tane, still not happy. Why do some pimples leave red marks, and others don't? I don't get why some pimples leave marks on your face and others don't....it's weird, their all the same kind of pimple (cystic) but some heal better then others, and I do the same treatment. Does't make sense to me....any ideas??? What are your stats and skin condition? 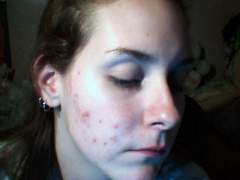 Acne Type: mild-moderate, mild on forehead, chin, nose. More moderate on cheeks. Cystic pimples fairly often, dry skin, combination Age: 21 Height: 6'1 Weight: 175lbs Mgs & months of course: first month 20mg, second month 40 mg Now: still remains the same, still new on accutane. Not even done my second month yet.